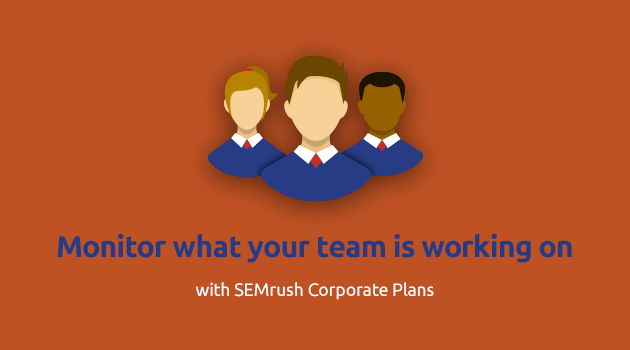 Those who are already using SEMrush Corporate Plans have experienced how they facilitate teamwork. Corporate accounts’ owners have enjoyed the ease of inviting team members to use SEMrush, removing users, and paying for all licenses at once! Now you get a new teamwork feature! Open your Profile, and click Manage accounts (1). You will notice a new tab called Projects (2). Click it, and you will see a list of your team members’ projects (3). If a site audit campaign for a project has been launched, you will be able to view it (4)! This feature is extremely important for project managers who need to monitor the on-page optimization progress for each website their team is working on. This way, you’ll be able to detect when and where a project is bottlenecking, and communicate solutions to your team!